Last week I talked about what you need to do to get paid as a professional photographer. One of them key points I landed on was how important a portfolio is to start the conversation and easily show off your work. I want to expand on that topic here. I briefly mentioned a few ideas. A portfolio should be 100% focused on the field that you want to work in. It should be short. And it should be perfect. Let me talk about the "why" first. A portfolio is the representation of the work that you've done and the work you could do. This is where you brag about how great you are and all the really neat things you're capable of doing. In the modern era, you're not walking into an agency with a binder. You're now e-mailing a link to a photo editor or client. They are going to open up that link and look at the website for 3-10 seconds. If they see crap, or nothing interesting, they are done. They aren't going to call you back and they aren't going to follow-up. You have a very short window of time to make a strong impression and prove you are what you say you are. This is why it is so important to have a portfolio, and make sure the one you have is a quality representation of that work. Include the work you want to work on. What does that mean? 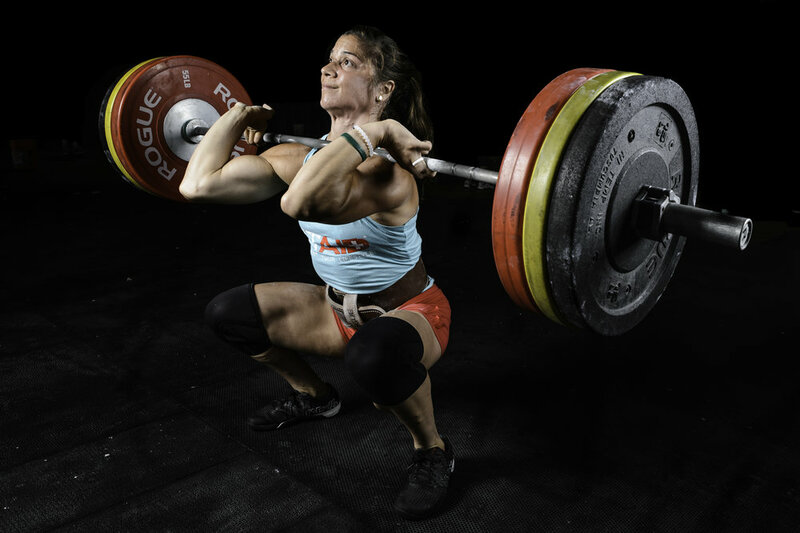 If you want to be the best photographer in CrossFit, the only things in your portfolio should include CrossFit-style images. No one cares that you've shot a wedding. They aren't impressed by your photos of little kids. Food photos don't matter regardless of how delicious they look. Including these images in your portfolio makes you seem like an amateur. Clients want to hire the best shooter in that specific field. They don't want a mediocre wedding photographer that sometimes shoots CrossFit in his free time. The one qualifier in all this: If you do have multiple passions and specific types of photography you want to build out, develop different brands and portfolios that represent that. That said, don't include all those different portfolios on the same page or you're just defeating the purpose. A portfolio should be short. Like I said above, an editor or a client is going to click for 3-10 seconds on your portfolio. They aren't going to drill 100 images deep. So this is both a blessing and a curse. You need to make your impression in 8-15 images. Usually the challenge is cutting it to such a short set. Some things to think about are making sure there is a variety in your set of images. Avoid including the "same" photo over and over. Examples would be having multiple photos of barbells locked out overhead, head to toe setup shots, or repeated exhaustion photos. You want to include a variety of compositions and focal lengths. Tight shots, wide shots. Images with one athlete, as well as multiple athletes in frame. Further, all the images shouldn't be from the exact same event. Show that you also have worked a variety of jobs. Your portfolio should be perfect. With only 8-15 impressions, each shot should have no technical mistakes. That means the exposure is perfect, the focus is tact sharp on the subject's eye, the composition is spot on, the processing is perfect without being overdone. When I've received portfolios from perspective shooters, I'm shocked when I see obviously out of focus images or shots where the composition is way off. What that tells me is that the photographer doesn't understand what good focus and exposure are, and that's what I'm hiring for. That's the end of that conversation for me, I'm not going to follow-up and ask why shot number 3 was out of focus and what shot number 5 was overexposed. I'm not really going to spell this out more, perfect is perfect and if there is anything in your image that you think may not be, it shouldn't be included. I think one of the last things you should consider including in your portfolio is spec work or basically what you could do for a client. Meaning that you'll include shots from shoots you've financed and setup yourself, simply for the sake of demonstrating an ability, skill, or look you can do. This is a great time to really show off the fancy gear or scenarios that you just haven't had the opportunity to do for a paying client, but think you will be able to pitch to future clients. When I was putting this together I thought it would be a good idea to reach out to one of my colleagues and friends, Chris Nolan of MetConPhotos for his very knowledgeable opinion on what makes a perfect portfolio. This is what he said, "accurate to the work that I specialize in, minimal in size (15-20 per section), and images chosen by a professional editor that lacks any kind of emotional attachment to the my work." Clearly, Chris and I line up on this in a big way, but I think he brings up a huge point I omitted, selections without an "emotional attachment." Far too often, people keep shots in their portfolio that are from "their first paying shoot," or taken with their first ever camera. They have sentimental value, they may be neat, but they might not be perfect for your portfolio. Writing this post was a great exercise for me because it forced me to finally sit down and spend time overhauling my website and portfolio. The number one thing I thought I fell into the trap of was including images that I held an emotional attachment to, that should have otherwise been rejected. The only person that thought those were "portfolio-worthy" images was me and that was because I knew the particular backstory and process that made those images special to me. I had included an image from the first event I ever shot in my portfolio and it survived revisions to my portfolio for five years! Especially after reading Chris' advice, it finally got the axe. My last point would be that your portfolio is just that, its yours. It is your chance to show who you are as a photographer. The worst thing you can do is blindly follow someone else's set of rules. I've seen incredible portfolios that are only one image. Others that use formats I never would have considered. My own portfolio violates some of my ground rules because that works for my unique situation. You do you.